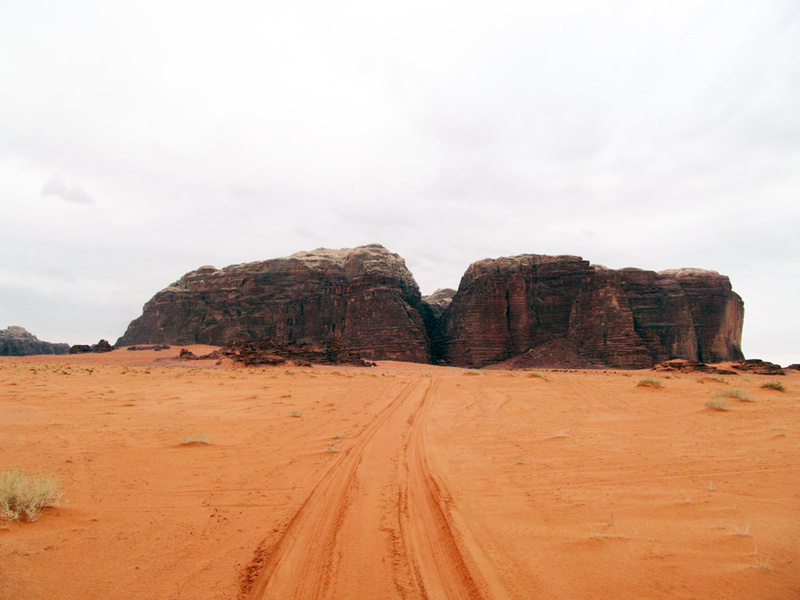 Mohammad Zidane al Zalabih (an excellent guide specializing in rock art) guided Michael Fuller and Neathery Fuller to a dozen petroglyph sites in Wadi Rum on 24 February 2015. Jeep track leading to Khazali Canyon site. 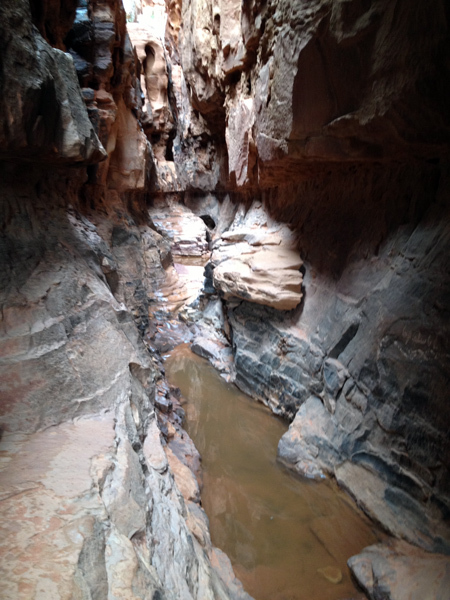 Water looking into Khazali Canyon. 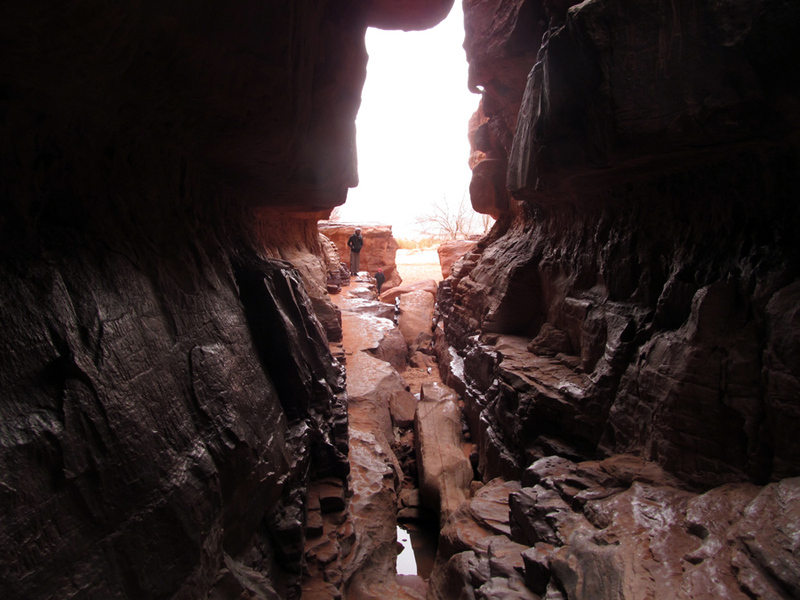 View from the canyon looking out; Mohammed and Neathery are the two small figures. 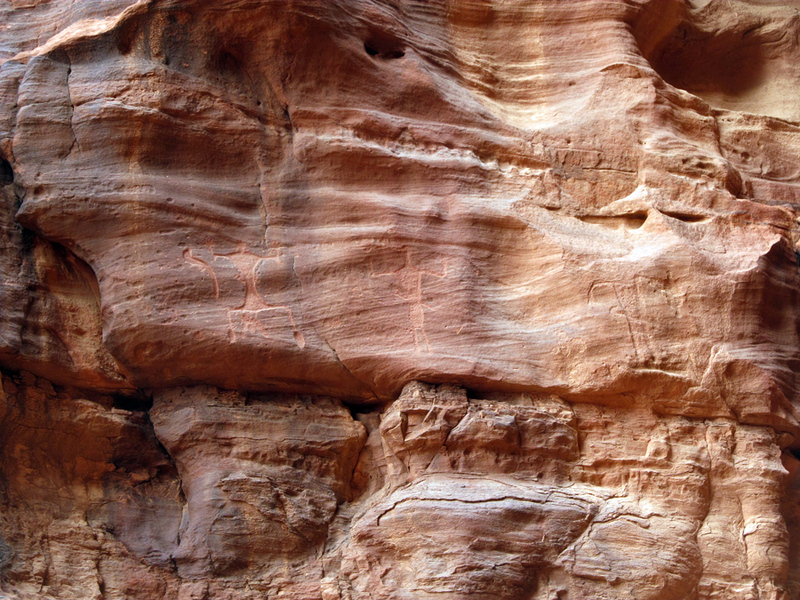 Three figures high on the canyon wall. 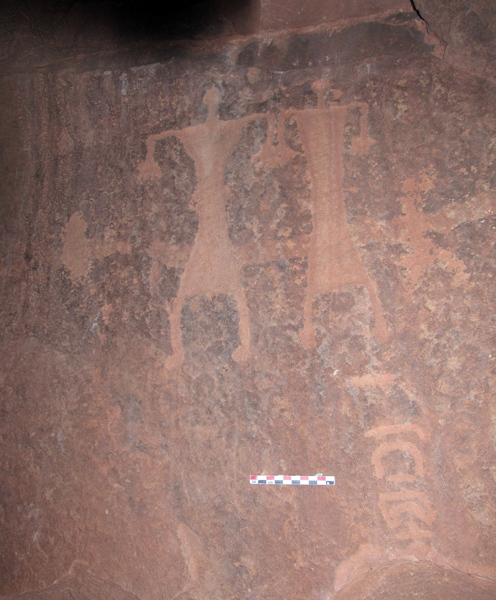 Two figures, side-by-side, high on the canyon wall. Scale is 10 cm. 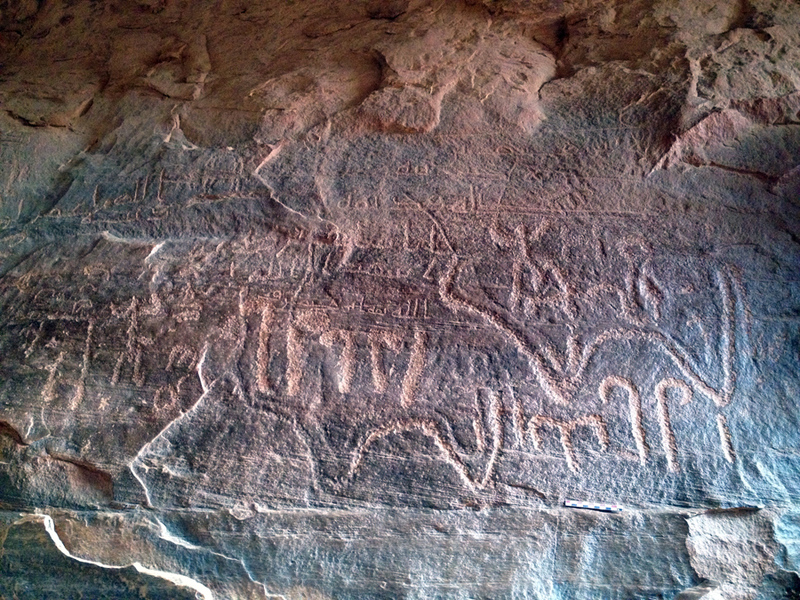 Heavy line petroglyphs of cattle and more recent Arabic inscription using the Kufic script. Scale is 10 cm. 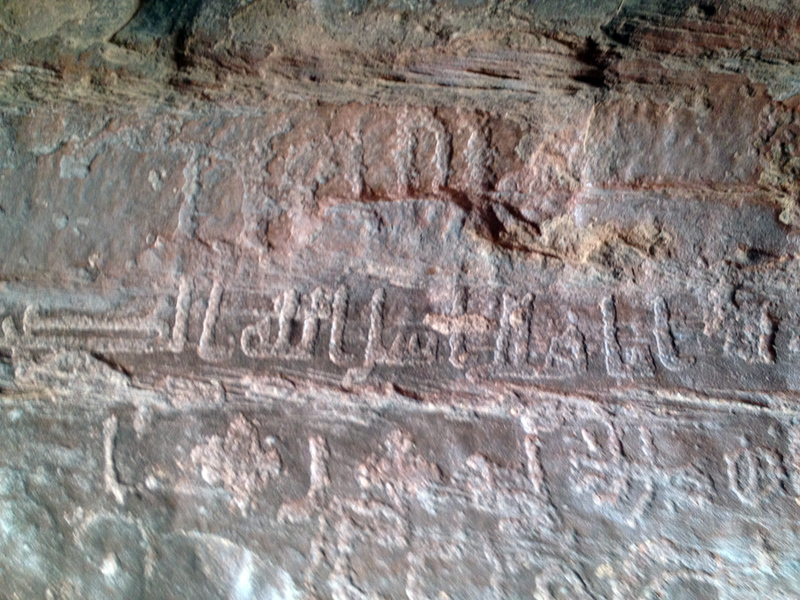 Detail of the Arabic inscription that was written in the Kufic script. Scale is 10 cm.